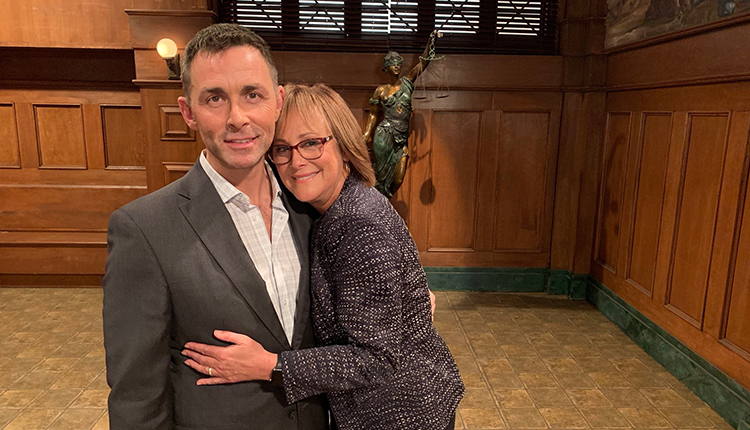 Nora Buchanan is heading back to Port Charles. In a post on its Twitter page, “General Hospital” announced that actress Hillary B. Smith is returning to the soap for the first time since 2017 as her iconic “One Life to Live” character, Nora Buchanan. “And who (aside from Valentin) might Nora be doing business with this time?” the account asked. The answer? Kevin Collins (Jon Lindstrom). According to TVInsider, Nora is back in town for several episodes throughout the month of April in order to help Kevin, who has been keeping secret the fact that his twin brother was still alive, and in the process putting the lives of others in jeopardy. Several people were killed at the hands of Ryan after he swapped places with Kevin for several months, unknown to the rest of the town. For more from Smith’s interview, click here.